After four years as an assistant coach with Virginia Elite’s 15’s, 16’s, and 17’s teams, Peter Kay enters his fifth season as a member of the 17’s team staff. 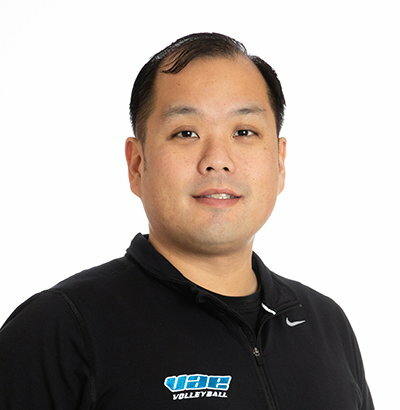 He has played competitively for over 20 years, both on USAV club teams and in outdoor doubles tournaments across the Mid-Atlantic. Kay assisted Maddie Bonifas in coordinating Virginia Elite’s Dig Pink Tournament in 2018 and has received a Diamond Coach Award for his commitment to the club. Originally from Upper Holland, Pennsylvania, Kay attended Worcester Polytechnic Institute and graduated with a B.S. in Mechanical Engineering and a Master’s in Fire Protection Engineering. He currently lives in Falls Church, Virginia and works as a Fire Protection Engineer.